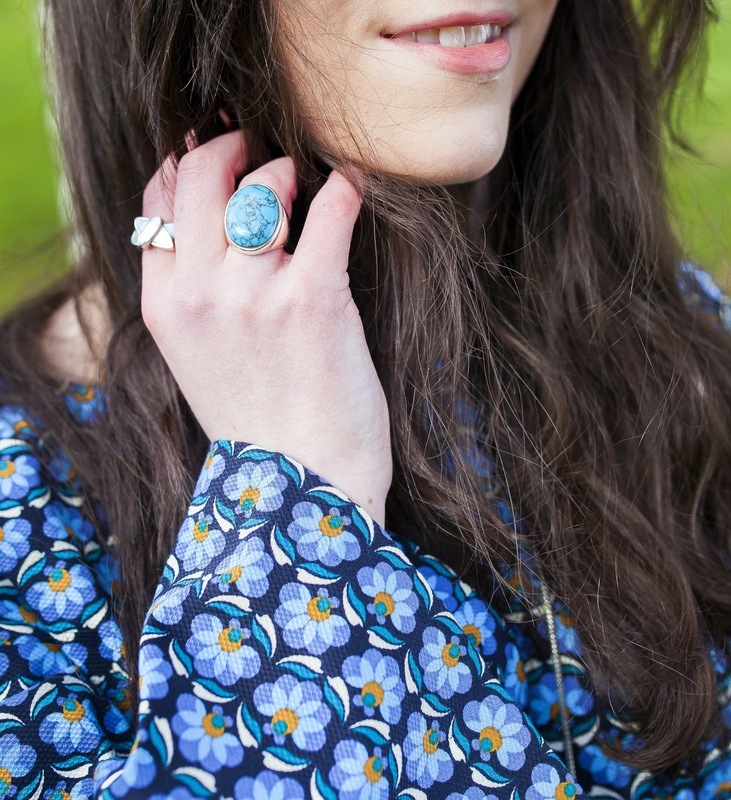 I am a lover of all things 60s and 70s. I love the era, it was full of power and the want for change. People were expressing themselves in fashion, art, music and there was a fight for rights for everyone. 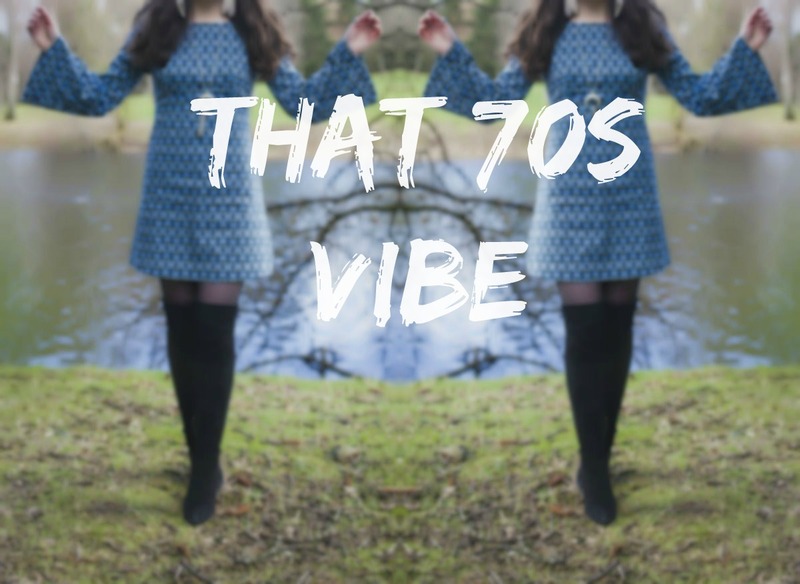 Recently I have been noticing that it isn't just the 70's fashion that has come around again. Peace protests have been happening in reaction to Cameron's airstrike decisions, mines have shut down (steel ones this time) and people have had about enough of the people running Westminster. Well, I know I have. In a lot of ways we have moved forward from the 70s in terms of equality, politically, socially and technically (obvs), but there are somedays I fear we are slipping back to the -not so great- part of the past. So in my "positive and always look on the bright side of life" way, I like to capture what was good and what should be continued to be embraced from the years past. The fashion and the fight for peace. And I am ready to take it on. 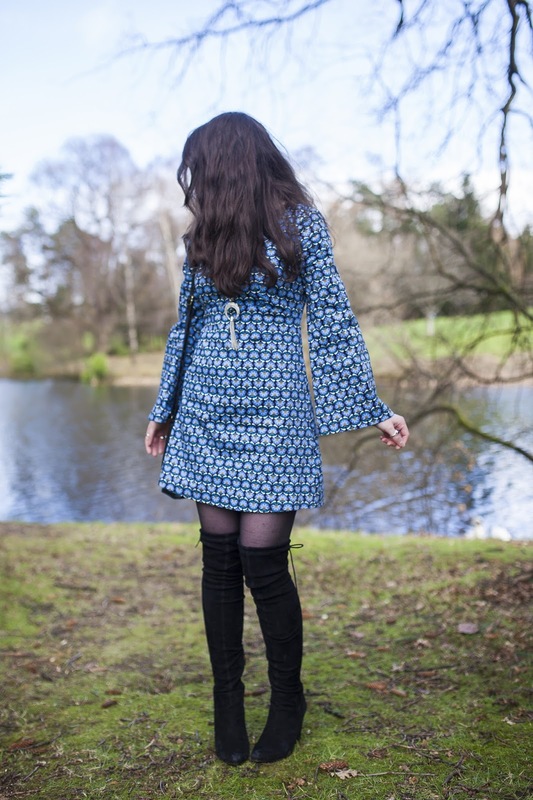 The dress from Zara and my fabulous boots from Ted and Muffy make me feel like I've just walked out of the 70s and Stirling's Uni Campus, despite being populated by stressed out, over caffeinated students, is actually very peaceful. 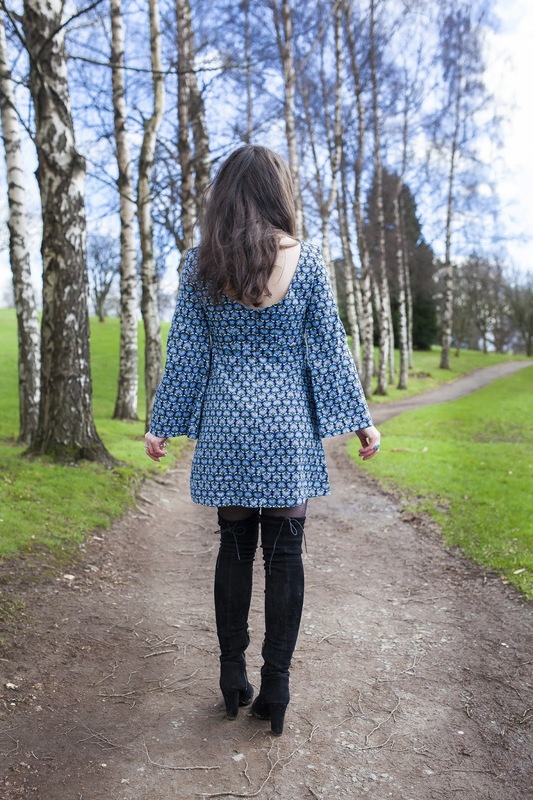 The boots are just great, they don't slip down as much as my other-cheaper-ones and they definitely don't wrinkle at my ankles as much or as noticeably. I think it has something to do with my short legs. But no matter, with a high heel, I can stand tall and continue to fight for what I want. "Give a girl the right pair of shoes, and she can conquer the world"
Photographer: Ingvild Orland Check her YT channel out!